Set yourself free! Especially from everything that stresses your body in day-to-day life. 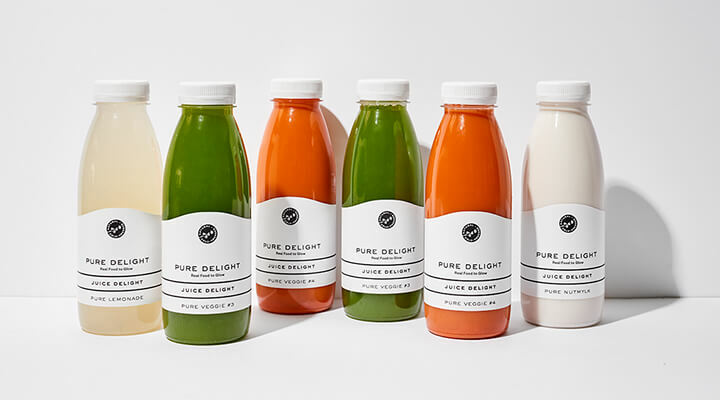 Try something new for three, five or even more days with an all-liquid diet consisting exclusively of fresh, cold-pressed juices and vegan, creamy soups. 100% natural, rich in vitamins and plant enzymes and free from additives. Assemble your own liquid cleanse from juices and soups, and you will soon be able to look forward to lots of positive effects. Raw, harvest-fresh fruit and vegetables, an extra portion of green leafy vegetables along with healthy fats from nuts supply you with everything you need for a healthy lifestyle. Your acid-based balance will improve sip by sip and spoon by spoon—and your metabolism will thank you for it. Save your energy for the fun things in life. Our juice & soup cleanses take the stress off your digestive system alone by temporarily removing solid food from your diet. What remains are beneficial vitamins, enzymes and lots of energy to restore and regenerate your body. Naturally pure delight—without anything that doesn’t belong: no artificial additives, no flavor enhancers, no industrial sugar and no other unnecessary extras. You will achieve the best results with your cleanse when you eliminate alcohol, sugar and other stimulants from your diet. 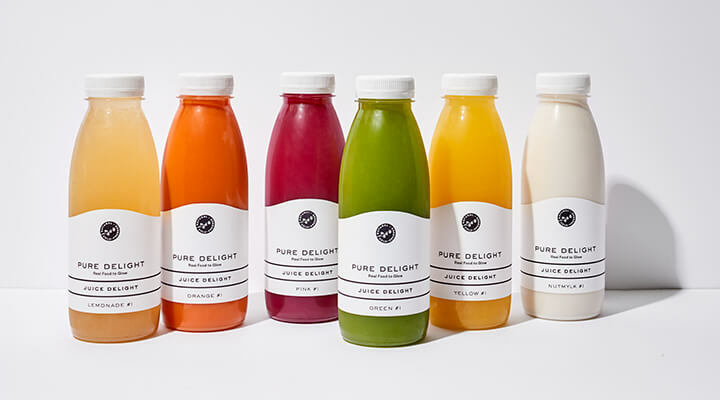 Once you receive them, our cold-pressed juices should go straight into your home or office refrigerator. Fresh and lovingly prepared by hand, we supply your your juices and soups multiple times directly to the address of your choice. In order to protect the best nature has to offer, our juices are cold-pressed and NOT HPP treated or pasteurized. Any form of preservation impairs both a juice’s quality as well as its nutrient density. 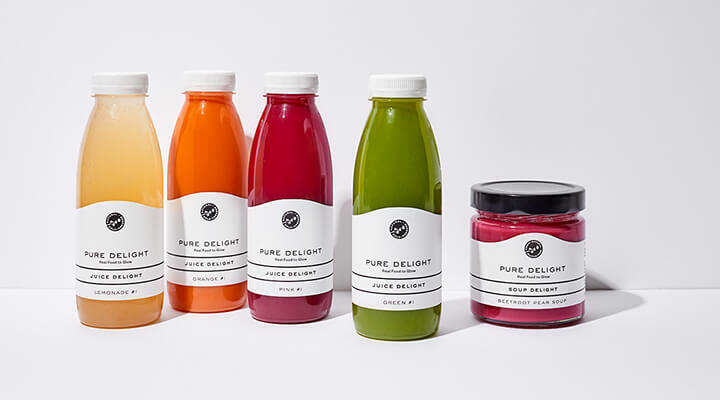 Our fresh juices need to be stored in a cool and dark place at temperatures between +2°C and +8°C – please consume them by the date printed on the package. Your order confirmation comes with our Cleanse Guide. It explains everything you need to know to achieve good results. All that is left for you to do is open the lid, stick a straw in and enjoy! You can eat our soups cold straight out of the refrigerator or you can warm them up in a hot water bath or in a pot over low temperature. Delicious juice and soup menus for a healthy break: What will you have? Just press reset and say goodbye to snack attacks and other cravings. At least for a while. You will see and feel the powerful effects. A professional juice cleanse will restore your body to its natural balance and help you drop a few extra pounds in the process. Harness the benefits of pure plant power from 100% natural ingredients and superfoods that are entirely untreated, correctly balanced and perfectly coordinated. Balanced nutrition, simple and fresh, right from the bottle. Always vegan, gluten-free, and with no artificial ingredients, sweeteners or industrial sugar. Wherever you are, our juices reach you cooled and freshly pressed. No hours spent shopping, looking for recipes, cleaning your juicer or scrubbing pots. We do it all for you—just as conscientiously as you would, but with the key benefit of already knowing which combination of ingredients is just right for an effective cleanse. All that is left for you to do is enjoy!